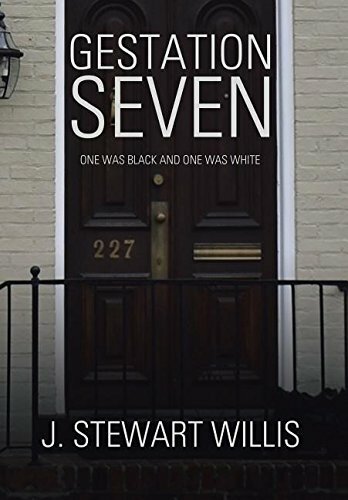 Article first published as Interview: J. Stewart Willis, Author of ‘Gestation Seven’ on Blogcritics. J. Stewart Willis grew up in Alexandria, Virginia and went to the United States Military Academy, from which he graduated in 1958 and served for twenty-five years in the Army. During that time, he served in Taiwan and later in Vietnam as Signal Officer of the 173rd Airborne Brigade. During his Army career, he attended graduate school at Rensselaer Polytechnic Institute, earning an MS and PhD in Physics. He served as a Professor of Physics at the United States Military Academy for sixteen years before retiring from the Army in 1983. He next worked for TRW Inc. as a manager working on communications projects and the Department of Energy’s Nuclear Waste Project at Yucca Mountain, Nevada. During this time, he lived in Rappahannock County, Virginia, where he has lived ever since. There he served as the elected mayor of Washington, Virginia (often referred to as “Little Washington”) for nine years. He currently lives in Sperryville, Virginia with Charlie, his greyhound/borzoi cross. Welcome Stewart, and thank you for being with us today! Why don’t you start by telling our readers a bit about your journey to becoming a published author? I’ve thought about writing most of my life. I actually started a novel about the Civil War while I was in college, but never got very far. With all that it takes to earn a living and take care of a family, there was never any time for writing. However, ideas about books have constantly rattled around in my head. Now that I am older with fewer responsibilities, I decided I’d better start getting things down on paper while I still have the opportunity. What is Gestation Seven about? Gestation Seven is a science/medical thriller. It starts with the discovery of two murdered babies found in a trash dumpster south of the City of Alexandria, Virginia. A young female newspaper reporter comes upon the crime scene on her way home from work and becomes involved with trying to solve the mystery behind the murders. Her sleuthing leads her to three government scientists who had gone rogue and conducted an experiment directed at reducing the human period of gestation from nine months to seven months. The experiment had gone terribly wrong leading one scientist, unbeknown to the others, to murder two of the babies to rid him of the evidence of the failure. Based on early information discovered by the reporter, the Alexandria Police take over the investigation. During the process of discovery, we learn of the impact all this is having on the other two scientists and what happened to a third baby. The idea came from all that is being written in the media about genetic science and research. The rest is my imagination. Tell us about the main protagonist and antagonist in the book. What motivates them? The young reporter is motivated by the desire to move ahead in her profession and to be recognized as someone who is capable of covering more than social events. The young scientist, on the other hand, is simply caught up in an experiment that his fellow scientists want to pursue for their own glory and personal interest. Probably a combination of the three scientists. How extensive was the research required for this plotline? Tell us a bit about it. Not terribly extensive, I read some books on genetics, drove around Alexandria, and used maps on the internet. I don’t have any deep, hidden purpose. This is simply a story I’ve told that I hope people will enjoy reading. I’ve tried to incorporate enough discoveries and surprises throughout to keep it interesting to read. I try to write a couple of hours each afternoon. I am still involved in an antique/gift store in Washington, Virginia that my wife started before her death, although I don’t physically work there on a day-to-day basis, and I spend as much time with my family as I can in Charlottesville and Richmond. I am now well on my way to completing the first draft on my second book, but am finding that the marketing of my first book is more demanding than I would like. Describe how it felt when you finished writing your story. Clearly, I was excited. It had all gone more smoothly than I had imagined. The ideas had been developed in my mind over the year sufficiently so that I knew much of it before I started, although I came up with new ideas as I wrote. The second book is taking more effort. The real thrill was having a hardcover book in hand with my name on it. I see my experience as extremely limited at this time. At my age, I’m impatient. I didn’t want to devote the time and frustration in trying to find an agent or a publisher, so I published myself. The problem with this is that I wrote largely in isolation. My sister told me to keep the chapters short and my daughter read the book and gave me some good advice and editorial comments, but editing novels is not her field. As a result, I’m sure I missed the value a good editor could have provided. Also, self-publishing is clearly not inexpensive. You can spend almost any amount you can imagine. There are all kinds of people out there on the internet who are willing to help for a price. You have to ask yourself how much you are willing to spend to fulfill your own dreams. As I said, I wrote this largely in isolation. The best part is that my family never laughed at the idea but only encouraged me. Basically, they said to enjoy the process, success or not. What advice can you give aspiring writers of thrillers? I think, looking back, the development of the characters might require more work. I, basically, just wanted to tell a story. I think that’s the main thing readers want. Philosophy is fine, but tell a story and include some surprises. I read all kinds of things, but mostly mysteries and historic novels. I read Grisham, Connolly, Baldacci, Kellerman, Lehane, Le Carre, Russo, Patchett, Mantel, Follett, Bernard Cornwell, and Scandinavian Mysteries. As I noted earlier, I am well on my way to finishing the first draft of another book. It’s about a tech company bidding on a contract with the involvement and interactions of the players and their wives. I love to visit and do things with my children and grandchildren. Where can readers connect with you on social media to learn more about you and your book? I would appreciate comments on my book at jstewartwillis7@gmail.com. I’m still interested in learning.